Chalmers University of technology, Sweden claims to have developed the first hydrogen sensors ever to meet the future performance targets for use in hydrogen-powered vehicles. 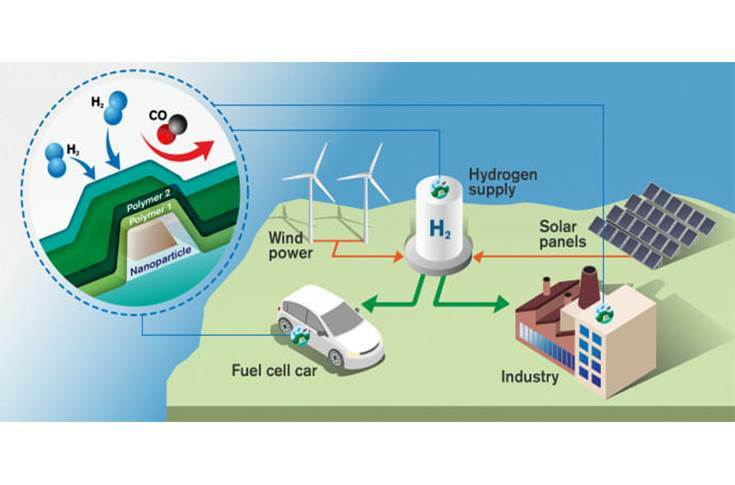 Hydrogen is a clean and renewable energy carrier that can power vehicles, with water as the only emission. Unfortunately, hydrogen gas is highly flammable when mixed with air, so very efficient and effective sensors are needed. The article titled ‘Metal - Polymer Hybrid Nanomaterials for Plasmonic Ultrafast Detection’ is written by Ferry Nugroho, Iwan Darmadi, Lucy Cusinato, Anders Hellman, Vladimir P. Zhdanov and Christoph Langhammer. The results have been developed in collaboration with Delft Technical University in the Netherlands, the Technical University of Denmark and the University of Warsaw, Poland. Published in the prestigious scientific journal Nature Materials, the discovery is basically an optical nanosensor encapsulated in a plastic material. The sensor works based on an optical phenomenon – a Plasmon - which occurs when metal nanoparticles are illuminated and capture visible light. The sensor simply changes colour when the amount of hydrogen in the environment changes. 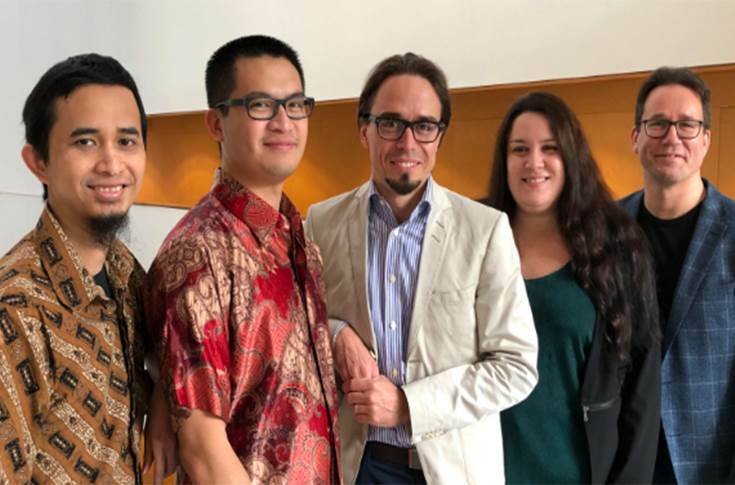 Chalmers researchers ​Ferry Nugroho, Iwan Darmadi, Christoph Langhammer, Lucy Cusinato och Anders Hellman. According to the papers submitted by the university, the plastic around the tiny sensor is not just for protection, but functions as a key component. It increases the sensor’s response time by accelerating the uptake of the hydrogen gas molecules into the metal particles where they can be detected. At the same time, the plastic acts as an effective barrier to the environment, preventing any other molecules from entering and deactivating the sensor. The sensor can, therefore, work both highly effective and undisturbed, enabling it to meet the rigorous demands of the automotive industry – to be capable of detecting 0.1 percent hydrogen in the air in less than a second. Detecting hydrogen is challenging in many ways. The gas is invisible and odourless, but volatile and extremely flammable. It requires only four percent hydrogen in the air to produce oxyhydrogen gas, sometimes known as knallgas, which ignites at the smallest spark. In order for hydrogen cars and the associated infrastructure of the future to be sufficiently safe, it must, therefore, be possible to detect extremely small amounts of hydrogen in the air. The sensors need to be quick enough that leaks can be rapidly detected before a fire occurs.